Cardinal Commercial Properties, LLC recently represented The Warehouse Theatre in leasing a 5,000+/- sf production space in Greenville, SC. Cardinal Commercial Properties, LLC recently represented the landlord in leasing a 5,000+/- sf manufacturing suite to Hoowaki. Cardinal Commercial Properties, LLC recently represented the landlord in leasing a creative office space to Cadre Medical Technologies. Cardinal Commercial Properties, LLC recently represented the owner in leasing a class A office suite to Courageous Leadership. Cardinal Commercial Properties, LLC recently represented the landlord in leasing a 9,000+/- sf industrial flex building positioned on 3.21+/- acres to Paveway Express Ltd. Co.
Cardinal Commercial Properties, LLC recently represented the landlord in leasing a class A office suite to ProPoint, Inc.
Cardinal Commercial Properties, LLC represented the landlord in leasing a flex industrial property in Greenville, SC to Chris’s Property Services, Inc.
Cardinal Commercial Properties, LLC recently represented the landlord in leasing an office suite to VW International. Cardinal Commercial Properties, LLC recently represented the landlord in leasing a 6,100+/-sf religious facility positioned on 1.8+/- acres in Tucker, Georgia. Cardinal Commercial Properties, LLC recently represented the landlord in leasing a Class A executive office suite to Enok Collective, LLC. Cardinal Commercial Properties, LLC recently represented the landlord in leasing a Class A office suite to Greer Development Corporation. Cardinal Commercial Properties, LLC recently represented the landlord in leasing a church facility positioned on 10.84+/- acres on Buford Dr. in Lawrenceville, Georgia. Cardinal Commercial Properties, LLC recently represented the landlord in leasing an office space to Quality Labor Management “QLM”. Cardinal Commercial Properties, LLC recently represented the landlord in leasing an executive office suite to RingoFire Studios in the Historic Chamber of Commerce Building. Cardinal Commercial Properties, LLC recently represented the landlord in leasing a retail space located on Woodruff Rd. to Learning Cycle. Cardinal Commercial Properties, LLC represented the seller in liquidating 1.5+/- acres located on White Horse Rd. Greenville, SC. The purchaser plans to develop the site for an independent car dealership. Cardinal Commercial Properties, LLC recently represented the owner in the sale of a 18,576+/-sf office building positioned on 20+/- acres. Cardinal Commercial Properties, LLC recently represented the landlord in leasing a 7,431+/- sf freestanding restaurant. Cardinal Commercial Properties, LLC recently represented the landlord in leasing a 1,900+/- sf retail/office suite to Republic Finance. Cardinal Commercial Properties, LLC recently represented the landlord in leasing a 2,000+/- sf retail space on Haywood Rd. to a local specialty wine shop. Cardinal Commercial Properties, LLC recently represented the landlord in leasing a retail suite to Rochester Book & Bible. Cardinal Commercial Properties, LLC recently represented the landlord in leasing a Class A office space to The Hiring Group. Cardinal Commercial Properties, LLC recently represented the landlord in leasing a retail space on Woodruff Rd. to Musical Impressions. Cardinal Commercial Properties, LLC recently represented the landlord in leasing an office suite in the Liberty Building to Black Harbor Wealth Management. Cardinal Commercial Properties, LLC recently represented the landlord in leasing a retail suite to Express Employment Professionals. Cardinal Commercial Properties, LLC recently represented the landlord in leasing a retail suite to North American Flags and Flag Poles. Cardinal Commercial Properties, LLC recently represented the Landlord in leasing a 0.84+/- acre lot located at 2432 Laurens Rd. Greenville, SC to First Auto, LLC. Cardinal Commercial Properties, LLC recently represented the landlord in leasing a manufacturing space in the NEXT Manufacturing facility to Carter Family Wines. Cardinal Commercial Properties, LLC recently represented the landlord in leasing a retail suite to Massage by Hand Greenville. Cardinal Commercial Properties, LLC recently represented the landlord in leasing a retail suite to Bare Essence Electrolysis. Cardinal Commercial Properties, LLC recently represented the landlord in leasing a 6,000 sf retail building to Dodson Dig Company. Cardinal Commercial Properties, LLC recently represented the landlord in leasing a retail suite to Sophia's Alterations. Cardinal Commercial Properties, LLC recently represented the landlord in leasing an office suite to Respect Technology, Inc.
Cardinal Commercial Properties, LLC recently represented the landlord in leasing an executive office suite located at 135 S. Main St. Greenville, SC. Cardinal Commercial Properties, LLC recently represented the landlord in leasing a 1,000+/- sf retail suite to Blue & Gold Macaw, LLC. Cardinal Commercial Properties, LLC recently represented the landlord in leasing a 1,000+/- sf office suite to Upstate Prosthetics. Cardinal Commercial Properties, LLC recently represented the landlord in leasing a 2,442+/- sf creative office/collaborative space to Brickyard Innovation Lab in NEXT Manufacturing. Cardinal Commercial Properties, LLC recently represented the landlord in leasing a 1,776+/- sf office space to Greer Development Corporation. Cardinal Commercial Properties, LLC recently represented the landlord in leasing a 3,200+/- sf class A office suite in the Liberty Building Greenville, SC to Ring O Fire Digital. Cardinal Commercial Properties, LLC recently represented the landlord in leasing a 1,400+/- sf retail suite to ProNail. Cardinal Commercial Properties, LLC recently represented the seller in the sale of a 5+/- acre tract of land located in Dacula, Georgia. Cardinal Commercial Properties, LLC recently represented the landlord in leasing a 1,405+/- sf office suite located in the Historic Liberty Building in Greenville, SC. Cardinal Commercial Properties, LLC recently represented the landlord in leasing a 1,465+/- sf retail suite located on Woodruff Road in Greenville, SC. Cardinal Commercial Properties, LLC recently represented the landlord in leasing a 1,800+/- sf office suite located at 1204 E. Washington St. Greenville, SC 29601. Cardinal Commercial Properties, LLC represented the landlord in leasing a retail suite in the property located at 1613 E. North St. Greenville, SC 29607. Cardinal Commercial Properties, LLC recently represented the landlord in leasing a 1,365+/- sf restaurant suite to Poke Bros Simpsonville, LLC. The tenant plans to open a Poke style restaurant. Cardinal Commercial Properties, LLC recently represented a local residential real estate firm in leasing a 4,000+/- sf office space near downtown Greenville. Cardinal Commercial Properties, LLC recently represented the purchaser in the acquisition of 25 Chrome Dr. Greenville, SC. The property consists of a 35,280+/- sf cross-dock facility positioned on approximately 5.967 acres and strategically located at the intersection of I-85 and I-385. Cardinal Commercial Properties, LLC is pleased to announce that Robert L. Brissie, Jr., CCIM was recognized at the 2017 National Association of Realtors conference for his excellence in commercial real estate over the past year. Cardinal Commercial Properties, LLC recently represented the landlord in leasing a 1,900+/- sf retail space to the Army Corps of Engineers. Cardinal Commercial Properties, LLC represented the landlord in leasing a 3,200+/- sf class A office space located at 135 S. Main St. Greenville, SC "Liberty Building". Cardinal Commercial Properties, LLC recently represented the landlord in leasing a 1,710 +/- sf retail suite to East Coast Granite & Tile. Cardinal Commercial Properties, LLC recently represented the landlord in leasing an office suite to Gendlin Homes, LLC. Cardinal Commercial Properties, LLC recently represented the landlord in leasing a 1,700+/-sf retail suite at 475 Haywood Rd. Greenville, SC to Body by Bam. Cardinal Commercial Properties, LLC recently represented the Lessor in leasing a professional office space to North Main Counseling & Wellness in the property located at 1613 E. North St. Greenville, SC. Cardinal Commercial Properties, LLC recently represented the seller in the liquidation of 1.9+/- acres located on KetronCt. Greenville, SC. The property will be developed into a My Place Hotel. Cardinal Commercial Properties, LLC recently represented Deka Lash in leasing a retail suite located at the intersection of Woodruff Rd. and Garlington Rd. in Greenville, SC. Carinal Commercial Properties, LLC recently represented the Landlord in leasing a 1,900+/- sf retail suite to Rochester Book and Bible. Cardinal Commercial Properties, LLC recently represented the Landlord in leasing a 1,900+/- sf retail suite to Cuppy's Coffee in Easley, SC. Cardinal Commercial Properties, LLC recently represented the Landlord in leasing a manufacturing space to Digitize Designs in NEXT Manufacturing in Greenville, SC. Cardinal Commercial Properties, LLC recently represented the Landlord in leasing a Class A office suite to The Hiring Group. Cardinal Commercial Properties, LLC is pleased to announce that they recently represented the Landlord in leasing a Class A office suite located at 135 S. Main St. Greenville, SC to Ring of Fire Digital. Cardinal Commercial Properties, LLC is pleased to announce that they recently represented the Landlord in leasing a Class A office suite located at 135 S. Main St. Greenville, SC to DBE Solutions. Cardinal Commercial Properties, LLC recently represented the Lessor in leasing a class A office suite to WebSpeak Media. Cardinal Commercial Properties, LLC recently represented the Lessor in leasing a class A office suite to Wet Paint Greenville. Cardinal Commercial Properties, LLC recently represented the landlord in leasing a 1,700+/- sf retail suite located on Haywood Rd. Greenville, SC. Cardinal Commercial Properties, LLC recently represented the landlord in leasing a 1,500+/- class A office suite in Greenville, SC. Cardinal Commercial Properties, LLC recently represented the seller in the liquidation of a 7,500+/- sf multi-tenant office building. Cardinal Commercial Properties, LLC recently represented the buyer in the purchase of a 10,800+/- sf flex industrial building positioned on approximately 4.869+/- acres. Cardinal Commercial Properties, LLC recently represented the seller in liquidating a 4,370+/-sf office building located at 64 & 66 St. Mark Rd. Taylors, SC 29687. Cardinal Commercial Properties, LLC recently represented the landlord in leasing an office suite to Fairway Independent Mortgage. Cardinal Commercial Properties, LLC recently represented the landlord in leasing a 3,400+/- sf flex industrial building located at 25 Apopka Ave. Greenville, SC 29609. Cardinal Commercial Properties, LLC recently represented the lessor in leasing a 1,365 +/- sf retail suite to Magic Hands Spa, LLC. Cardinal Commercial Properties, LLC recently represented the landlord in leasing a 1,500+/- sf retail suite in Greenville, SC. Cardinal Commercial Properties, LLC recently represented the seller in the sale of a 5,049+/- sf medical office building located at 27 Creekview Ct. Greenville, SC. Cardinal Commercial Properties, LLC recently represented the Lessor in leasing a Class A office suite to Syllogistic Management Solutions. Cardinal Commercial Properties, LLC recently represented the Landlord in leasing an office space located at 506 Pettigru St. Greenville, SC to Quality Labor Management, LLC. Cardinal Commercial Properties, LLC recently represented the Landlord in leasing an office suite to Brain Refocus, LLC. Cardinal Commercial Properties, LLC recently represented the Landlord in leasing a collaborative manufacturing suite in the NEXT Manufacturing facility which is located at 400 Birnie St. Greenville, SC. Cardinal Commercial Properties, LLC recently represented the Landlord in leasing an executive office suite to Anchor Life Coaching. Cardinal Commercial Properties, LLC recently represented the buyer in the purchase of 1613 East North St. Greenville, SC. The property is an 8,200+/- sf mixed-use commercial property located on a major artery that connects the eastside of Greenville to downtown Greenville. Cardinal Commercial Properties, LLC is pleased to announce that Robert Brissie, CCIM was awarded the 2016 Caine Halter Commercial Realtor of the Year by the Greater Greenville Association of Realtors. Cardinal Commercial Properties, LLC recently represented the landlord in leasing a 6,000+/- sf medical office suite to Greenville Health System. Cardinal Commercial Properties, LLC recently represented KentWool Development in leasing a 3,200+/- sf class A office suite to EM1 Labs in Greenville, SC. Cardinal Commercial Properties, LLC recently represented KentWool Development in leasing a 815+/- sf class A office suite located in the Historic Chamber Building in Greenville, SC. Cardinal Commercial Properties, LLC recently represented the landlord in leasing a 2,950 sf medical office suite to Hospice of the Upstate. Cardinal Commercial Properties, LLC recently represented the Lessor in leasing an office suite located at 111 S. Main St. Greer, SC to Grace Church. Cardinal Commercial Properties, LLC recently represented the purchaser in the acquisition of 520 Rutherford Rd. Greenville, SC. The property is an 8,500 sf freestanding retail building positioned on 1.9 acres. The purchaser plans to completely renovate the property and establish an event venue business at the property. Cardinal Commercial Properties, LLC recently represented The Beautiful Company in leasing a 2,520 sf freestanding retail building located at 100 Green Ave. Greenville, SC. The property is located next to Fluor Field in Downtown Greenville and will be renovated for the use of a high-end spa. Cardinal Commercial Properties, LLC recently represented Veterans United Home Loans in leasing a 1,550 sf office suite in Piedmont, SC. Cardinal Commercial Properties, LLC recently represented CF Thermal, Inc. in leasing a 5,000+/- sf office building for their corporate headquarters. Cardinal Commercial Properties, LLC recently represented the purchaser of a multi-tenant office building which is located at 314 Lloyd St. Greenville, SC 29601. Cardinal Commercial Properties, LLC recently represented the landlord in leasing an office suite to Webspeak Media, LLC. Cardinal Commercial Properties, LLC represented the landlord in leasing an office suite to Allstate Insurance in Easley, SC. Cardinal Commercial Properties, LLC represented the landlord in leasing an office suite to Palmetto Premier Advisors, LLC. Cardinal Commercial Properties, LLC recently represented the landlord in leasing a Class A Executive Office Suite to Manage With Grace, LLC. Cardinal Commercial Properties, LLC represented the landlord in leasing a 1,814+/- sf office suite to Scott Insurance. The property is located in the EastPark @ Pelham professional office park near the intersection of I-85 and Pelham Rd. Cardinal Commercial Properties, LLC recently represented the seller in the sale of an approximate 3.5+/- acre tract of retail land that is located on Lee Vaughn Rd. in Greenville, SC. Cardinal Commercial Properties, LLC recently represented the landlord in leasing a Class A Executive Office Suite to Norsworthy Law, LLC. Cardinal Commercial Properties, LLC recently represented the landlord in leasing a 1,000+/- sf retail suite located on Woodruff Rd. Greenville, SC to an established flag company. Cardinal Commercial Properties, LLC recently represented the landlord in leasing a 9,000+/- sf industrial flex building which is located off White Horse Rd. Greenville, SC. Cardinal Commercial Properties, LLC recently represented the landlord in leasing a 1,080 sf retail suite on Woodruff Rd. Greenville, SC. Cardinal Commercial Properties, LLC recently represented the landlord in leasing a 950 sf retail suite. Cardinal Commercial Properties, LLC recently represented the buyer in the purchase of 501 S. Pleasantburg Dr. Greenville, SC. The property is a free standing retail building located on one of the major retail corridors in the City of Greenville. Cardinal Commercial Properties, LLC recently represented the landlord in leasing a free standing retail building located on Wade Hampton Blvd. Greenville, SC. Cardinal Commercial Properties, LLC recently represented the seller in the liquidation of two income producing mixed-use properties. Cardinal Commercial Properties, LLC recently facilitated the lease of 1400 Easley Bridge Rd. Greenville, SC. The property is located at the intersection of Easley Bridge Rd. and N. Georgia Ave. and will be developed into an automobile dealership. Cardinal Commercial Properties, LLC recently represented the Lessor in leasing an executive office suite to Steele Financial. Cardinal Commercial Properties, LLC recently brokered the sell of a multi-tenant office building which is located at 10 Century Dr. Greenville, SC. Cardinal Commercial Properties, LLC recently brokered the lease of a retail suite to Great Clips. Cardinal Commercial Properties, LLC recently represented the purchaser in the acquisition of an office condo located at 880 S. Pleasantburg Dr. Greenville, SC. The purchaser plans to operate their executive offices at the property beginning in the first quarter 2016. Cardinal Commercial Properties, LLC recently represented the purchaser in the acquisition of an office building located on Poinsett Hwy in Greenville, SC. Cardinal Commercial Properties, LLC recently represented the lessor in leasing a Class A executive office suite to Deere Employees Credit Union. Cardinal Commercial Properties, LLC recently represented the Landlord in leasing an office suite located at 10 Century Dr. Greenville, SC 29607 to a professional counseling practice. Cardinal Commercial Properties, LLC recently represented the Landlord in leasing a 2,500 sf medical office suite. Cardinal Commercial Properties, LLC recently represented the Purchaser in the acquisition of a studio production suite located at 640 S. Main St. Greenville, SC 29601. Cardinal Commercial Properties, LLC recently brokered the lease transaction for a retail suite located on Woodruff Rd. Greenville, SC. Cardinal Commercial Properties, LLC recently represented the Lessor in leasing a retail suite. Cardinal Commercial Properties, LLC recently represented the Lessor in leasing a specialized office suite to Piano Central Music Studios in a commercial property which is located on Woodruff Rd. in Greenville, SC. Cardinal Commercial Properties, LLC recently represented the Lessor in leasing an industrial flex suite to Joerns, LLC. Cardinal Commercial Properties, LLC recently represented the Lessor in leasing an executive office suite to Syllogistic Management Solutions, LLC. Cardinal Commercial Properties, LLC recently represented the Seller in the sale of a 52 unit multifamily development located in the Upstate of South Carolina. Cardinal Commercial Properties, LLC represented the Seller in liquidating an approximate 8,500 sf corporate office showroom facility positioned on 6.45 acres. Cardinal Commercial Properties, LLC represented the Lessor in leasing a retail suite located on Woodruff Rd. in Greenville, SC to Bare Essence Electrolysis. Cardinal Commercial Properties, LLC recently represented the Landlord in leasing a retail suite. Kory Bell with Cardinal Commercial Properties, LLC recently represented the Tenant in leasing a 5,000+/- sf industrial building located at 11 Furman Rd. Greenville, SC. Cardinal Commercial Properties, LLC recently facilitated the sale of an approximate 6 acre parcel of vacant land. The Purchaser is planning to develop a high-end single family residential community on the infill site. Cardinal Commercial Properties, LLC recently represented the Seller in the liquidation of a vacant tract of commercial land located along the Poinsett Highway corridor in Greenville, SC. Cardinal Commercial Properties, LLC recently facilitated the sale of a 38,000+/- sf industrial facility positioned on 3.25+/- acres. 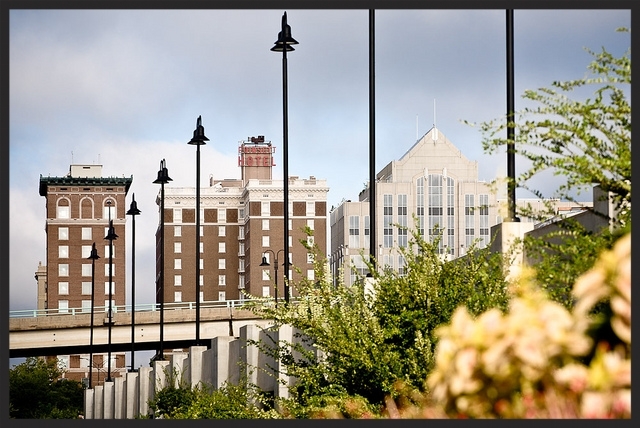 The site is well positioned for redevelopment of the site and is located in a robust area of Greenville, SC. Cardinal Commercial Properties, LLC recently represented Page Court Properties in selling a 98,000+/- sf industrial manufacturing facility. The Purchaser is a multinational vitamin manufacturer and will be relocating their corporate headquarters to the subject property. Cardinal Commercial Properties, LLC recently represented One Owner Auto Center, LLC in leasing the property located on Laurens Rd. Greenville, SC to I Drive Car Club. Cardinal Commercial Properties, LLC recently represented the Tenant in leasing an office suite located on E. North St. Greenville, SC. Cardinal Commercial Properties, LLC recently represented the Seller, Dr. Tania E. Hinderberger-Burton, in the sale of an approximate 3.3 acre parcel located on W. Blue Ridge Dr. (Hwy 253) Greenville, SC. Cardinal Commercial Properties, LLC recently represented the Lessor in leasing a 1,875 sf retail suite. Cardinal Commercial Properties, LLC is pleased to announce that Robert L. Brissie, Jr., CCIM recently earned the prestigious CCIM (Certified Commercial Investment Member) designation. Cardinal Commercial Properties, LLC recently represented the Landlord in leasing an office suite located on Century Dr. Greenville, SC.